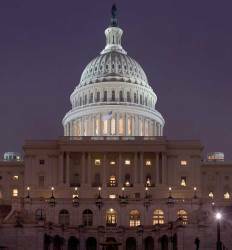 A lack of funds will force a shutdown in the development of the GPS new ground system on September 15 unless lawmakers act on a July request to redirect funds, according to the Air Force. Although the doors likely would only be closed for a little over two weeks, a hiatus would add substantially to the total cost of the GPS Next Generation Operational Control System (OCX) and further delay completion of the already behind-schedule program, the Pentagon has told lawmakers. "If funds are not received," the Air Force wrote in its request to reprogram funds, "the OCX will be required to cease all contractual efforts and delay the 24-month re-plan and Block 1 test; this disruption would result in an additional 4-month delay with an estimated cost increase of $90 million for reconstitution efforts." OCX is essential to full integration of the next generation of GPS satellites and the more jam resistant M-code. The Pentagon asked Congress to approve shifting $39 million to OCX to keep the program on track. "At current projected burn rates the program will run out of funds on September 15, 2016," Air Force spokesman Capt. AnnMarie Annicelli wrote in an emailed response to questions. "The Air Force will have to either slow down the OCX program prior to September with impact to program performance, or direct Raytheon to stop work when funds are exhausted." 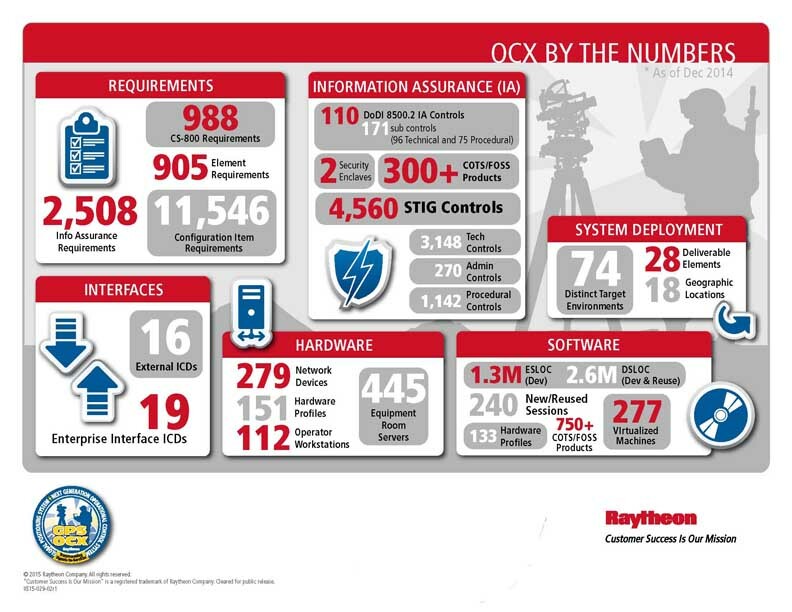 As of last week, however, the program had not slowed down, according to Bill Sullivan, the OCX program manager for prime contractor Raytheon. Raytheon is in the midst of the 24-month re-plan it agreed to in December in the face of cost overruns and delays. "We have obviously, as part of the plan, laid forth the funding that we need to execute the schedule that I just talked about," Sullivan said during an August 10 teleconference. “The Air Force is currently working to secure those funds. From my perspective it has not affected us. We are under direction of the Air Force to continue full speed ahead and to make the schedule that we put on the table. So we’re cranking ahead." A stop-work order would affect the entire effort as opposed to work on elements of the program to be delivered later in the schedule, according to the Air Force. "If no action to slow down the program is taken, the entire program will stop on September 15, 2016," Annicelli said. Raytheon is some 8 months into a 24-month extension granted by Frank Kendall, the under secretary of defense for acquisition, technology, and logistics after a Deep Dive review in December. Kendall has been consistent and clear that the contract could be canceled in part or in full if Raytheon fails to meet its benchmarks during the 2-year "re-plan" period. He is keeping tabs on the firm’s progress with quarterly “Deep Dive” reviews — the last one, of which, he deemed a “mixed bag." The reason for the budget shortfall is that Raytheon boosted its staff by some 25 percent to make the schedule work. "The 24-month re-plan requires the contractor to increase staffing by 25 percent, resulting in additional cost to the Federal government," the Air Force said in its request to Congress. The firm brought on the needed staff, said Sullivan, and is on track to deliver Block 1 by December 2020. With integration of Block 1 the GPS program can switch from the old control system to OCX. Block 1 will provide a cyber-hardened environment, crew automation, and twice the accuracy on navigation, said Sullivan. "We put the plan on the table and what we are talking to OSD [the Office of the Secretary of Defense] and the Air Force about are the challenges associated with that plan and how we’re executing to it. It’s as simple as that." In response to a question from Inside GNSS, Sullivan said that his program’s “to do list” had not changed — that is, elements of the program had not been changed or deferred. He noted that Raytheon had put money of its own into supporting the program. "So what we did is we made an investment in some hardware, capital hardware," said Sullivan. "That investment is used by the company, not only in OCX but in other areas, to help us in the areas of automation and being able to integrate a large suite of COTS [commercial off-the-shelf) products onto a cyber-hardened environment." The first use of that capital environment will be to support the GPS OCX program. "We’re actually using it to create two operationally representative IA- hardened [information assurance-hardened] environments," he said, "that we will use here in execution with the program to check out software builds, to test out automation, and just provide us additional capacity to do work here in the factory."